Trying to take advantage of the first quiet day at camp in a while, Mal and Molly's date takes a bizarre turn with the appearance of the bear woman! Back at camp, Jo, April, and Ripley must stay on their toes as they try to earn every badge possible which ends up being a lot harder than any of them ever planned. 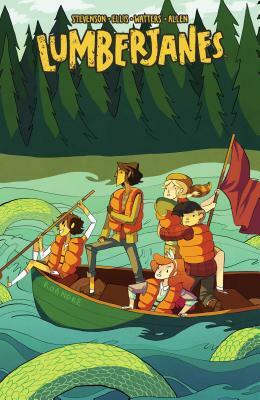 This New York Times bestseller and multiple Eisner Award-winning series is written by Noelle Stevenson (Nimona) and Shannon Watters, and illustrated by Carolyn Nowak (Rungs). Featuring spooky guest talent Faith Erin Hicks (Friends with Boys), Brittney Williams (Patsy Walker AKA Hellcat), Felicia Choo, and more.